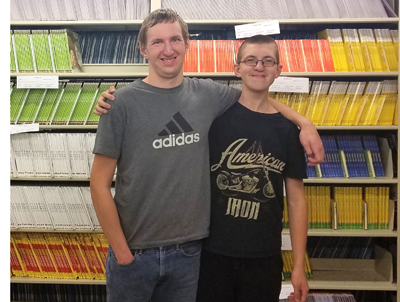 A couple of Fridley High School’s work program students met a unique challenge this October: turning Halloween candy into books. Lucas Antil and Nicholas Knapton created their own magic while helping Fairview Clinics prepare for its annual Halloween Candy Exchange drive. Children could drop off the candy they received while trick or treating and pick out a new book on trade. The candy was then shipped to those serving in the United States military overseas through the Yellow Ribbon Network. 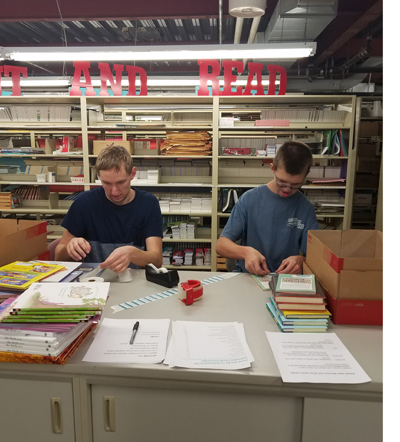 Antil and Knapton processed over 3,600 books ahead of Halloween, sorting and labeling the books by age category, then boxing and shipping them to individual clinics. 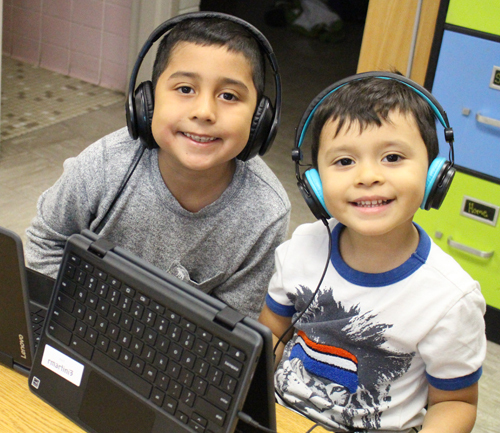 Julie Abear, Fairview Reach Out and Read Coordinator, was impressed at how much the two Fridley students achieved. “There would not be books on those tables; there would not be books at those clinics without those two,” she said. 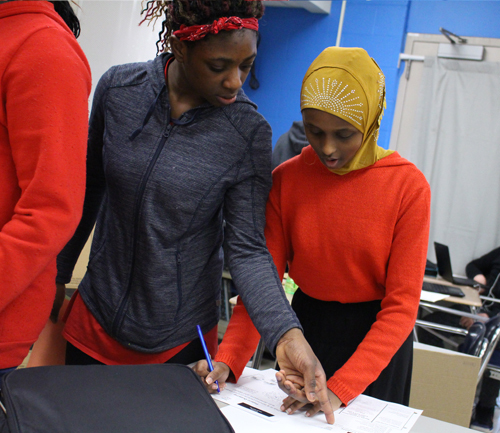 The mission of Fridley’s work program is to give students ages 14-21 the opportunity to gain employment skills in preparation for the competitive work force. Students can work either within the district or with outside businesses. A job coach trains them on specific skills for the tasks they are assigned. Knapton currently has applications in throughout the area, including with Discount Tires to go along with auto mechanic courses he’s taking. Antil is also applying at various local businesses. This was the first year Fridley students took part in the Fairview work program. The work will continue, as Fairview gives books to children throughout the year.